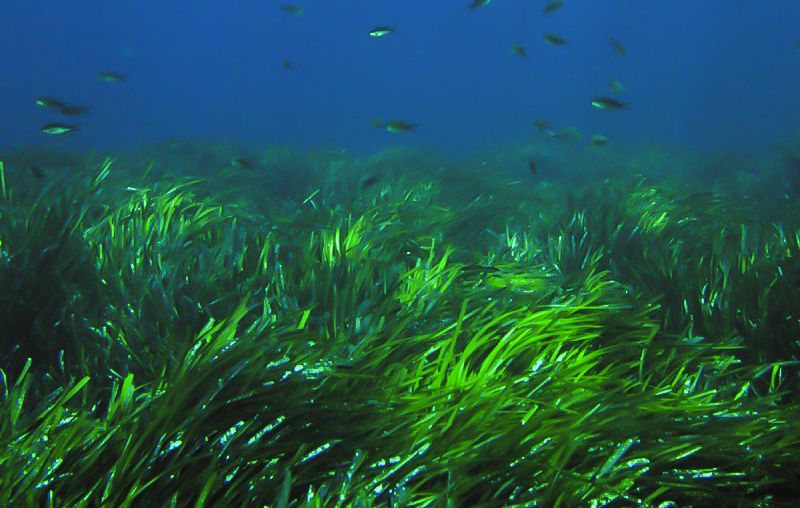 The Posidonia oceanica sea grass, also known as Neptune Grass, is under threat. This marine plant is of an utmost importance to the coastal ecosystem of the Mediterranean Sea and our marine ecosystem. The plant is seen as an indicator of clean waters, and its presence is a sign of a lack of pollution. We are lucky here in Mallorca in as much as we have a widespread presence of this plant in our coastal waters. Sadly, there are now reports that this important guardian of the ecological balance and harmony of the Mallorcan marine life is in decline. The decline is attributed to mechanical damage from trawling and boats, both fishing and leisure, from excessive coastal development and eutrophication, which causes lack of oxygen and leads to the demise of marine life, including plants and seafood, shrimp, crabs and small fish. I wish our politicians would not spend all their time and effort and the taxpayers’ money saving our banking system but would spend some time and money on the environment that is actually there to protect us and our future generations. Why are we all so blind? In case I get some wisecrack comments on the state of the beach shown in the photo (bottom), let me tell you that we should be pleased to find some of our beaches full with remnants of dead sea grass. This natural debris is a sign that the Posidonia sea grass is still in existence, working away in its wondrous ways of making our sea water clean and with it, our air. 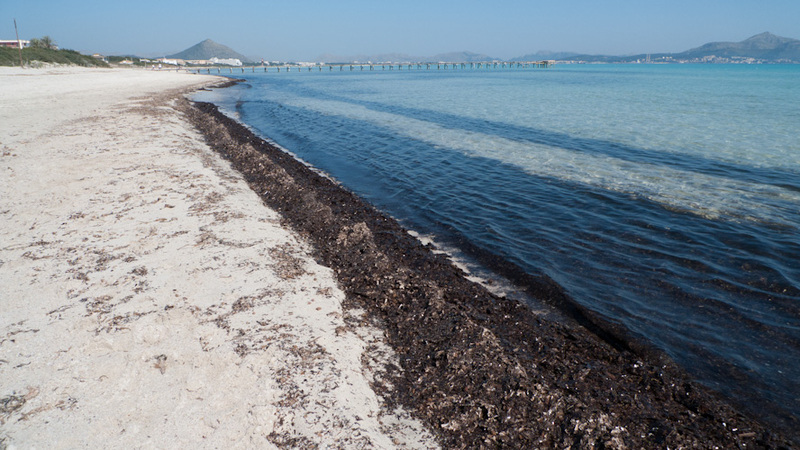 The day the debris does not wash up on our beaches any longer, will be a sure sign that the Posidonia has become extinct. And extinct is forever. Let’s not forget that. The photo (top) was borrowed from the Internet, courtesy of deepbluehome.blogspot.com.es. The photo (bottom) was taken near Can Picafort, Mallorca, Baleares, Spain. The date: March 30th, 2012. The time was 11:41:56. Very well said – we need more permanent buoys for the summer boaters with the mooring fees going to coastal maintenance and protection. I’m actually doing my master’s thesis about seagrasses, and I’m wondering if you know of any beaches where there used to be seagrass but no longer is? Or maybe two beaches on the island to see one with seagrass and one without? 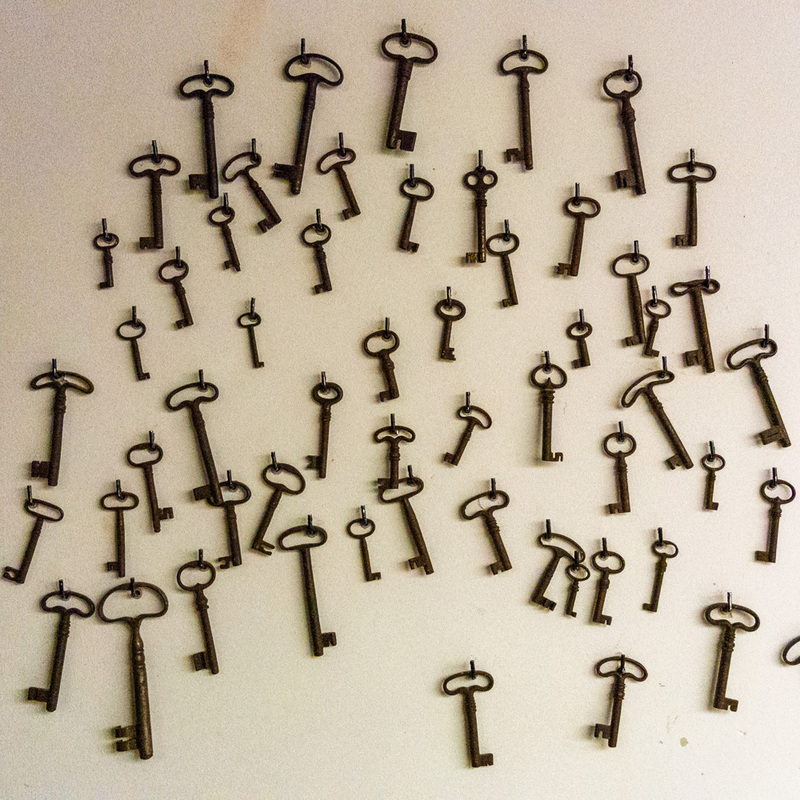 I think visual evidence is really persuasive, so I’d like to include a few snapshots. Thanks for the post!